What are you doing June 16th and 17th? Is being outdoors, surrounded by trees, facing a beautiful lake, encouraging friends, family and community members in an epic race something you enjoy? I know, I know, this sounds like a bad car commercial. 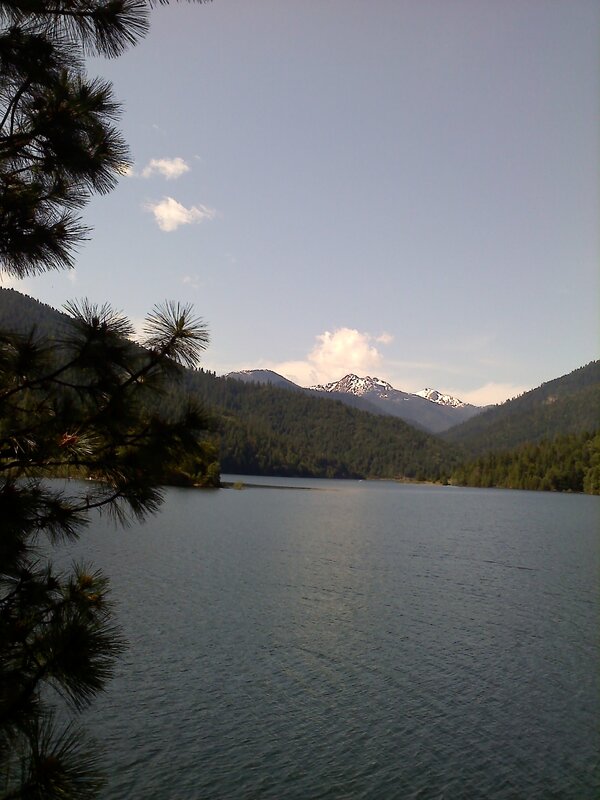 But I’m trying to sell you on the idea of spending the day outside, with me, at the beautiful Applegate Lake. Granite-Man race weekend is quickly approaching and you’re kinda crazy if you don’t plan on being involved. The weekend consists of a sweet off road triathlon. The bike portion goes all the way around the lake-I know it’s cool because I rode it last weekend. There’s a duathlon and an aquathon also. And hey, if you have kids that want to get involved have them do the kids tri—get them involved in this great sport early! Sunday will be a 10-mile trail run, one of the best trails in this area. If you haven’t run at the Applegate this is a great opportunity to try out a new place for future runs and rides. Hang out here ALL weekend! The weekend is partially about the event, but for me, it’s mostly about the sense of community involvement. I love to see people cheering others on, volunteers coming together to put on an amazing experience and athletes pushing themselves as hard as they can. That’s what this is, an experience for everyone. Here’s me continuing to sell you on this great weekend: come volunteer for me! Send me an e-mail at VolunteerGM@gmail.com and you can receive a 50% off the race that you are not volunteering at. So, help me Saturday and run Sunday. Or get your tri on and help me out Sunday. Then hang out. Drink a Ninkasi beer, sit by the lake, watch the kids paddle around and enjoy an awesome weekend away—but not that far away! Wish I were close enough to come.